JM Wedding06 - another "wedding" pattern, Developed by Joomla-Monster. It contains four standard color schemes and styles six pages. All pages are designed in bright colors. Distinctive quality of the template is guaranteed to completely support all mobile devices and cellular communication. Like all such templates, JM Wedding06 affects their appearance and the depiction of details. 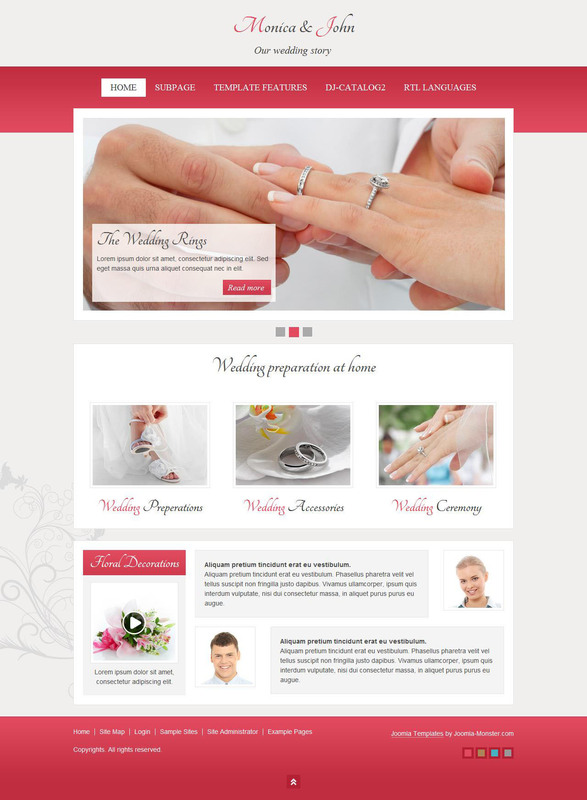 Many sites of marriage agencies and sales paraphernalia marriage ceremonies use this template.